We are proud to welcome Claire to our Champions scheme. Claire is a prominent campaigner whose two young boys were killed by their father when he deliberately set fire to their home with them inside. 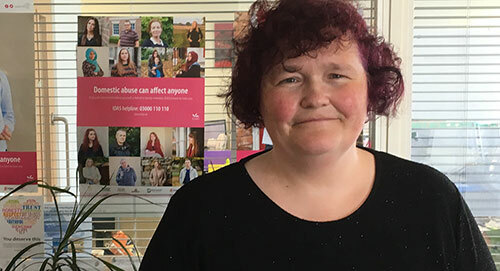 Since losing her two sons in October 2014, Claire has campaigned for changes to the Family Courts and an improved understanding of the impact and dangers of domestic abuse. She joins our network of Champions who support our work and raise awareness in their communities. “It is a privilege to be working with Claire Throssell, whose bravery an inspiration. Together we hope to increase the understanding of how dangerous domestic abuse can be. Tragically, Claire’s experiences are not isolated as many abusers continue the abuse through their children even after parents have separated. Whilst public awareness is increasing, there is still work to be done to ensure that the warning signs are taken seriously, and children are adequately safeguarded." Claire said, “We live in a democracy that stands against oppression and fear yet that is exactly what victims of domestic abuse live with every day and many of the victims are also children. It must stop, and it must stop now. Because of this, I am very proud to support IDAS and will do all that I can to raise awareness about their services." Claire works tirelessly to raise public awareness of how children can be impacted by domestic abuse, even after separation. We work with many people who are affected by this and support Claire in her campaign for changes to the Family Courts. We look forward to working with Claire to further her campaign and to keep more people safe from abuse and violence. If you would like to join our network of Champions, please complete the simple form on our website and we will be in touch very soon. You can read Claire’s story here.